Hi there footie fans from all over the world. I’m glad to get this page up and running and on here you’ll get all the info you’ll ever need about our game Sociable Soccer. Let me tell you a little about myself. I’m Gustav Hedenborg, also known under the nickname Caniggia for fans of other football titles. I took that nickname because of a beautiful goal that player scored against Nigeria in the World Cup 1994. So how come i’m posting on this blog and how did I get involved in this? Well after a few years as a Community Manager for Konami in the Nordic region I decided to quit and try something else. Like selling alcohol. It is actually my four year anniversary this month at Systembolaget, Sweden’s state regulated store which is the only store in Sweden which is allowed to sell alcohol to the public, excluding restaurants and bars. Anyhow back to my career in games. 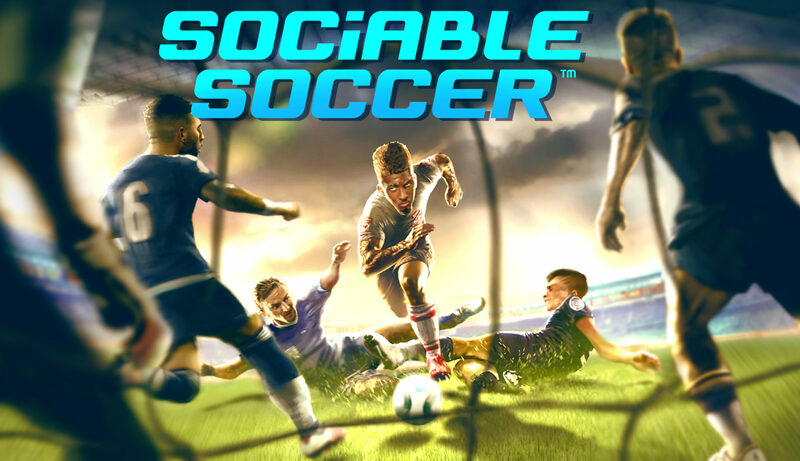 Three weeks ago I got a mail that I had sent to Jon during the kickstarter campaign forwarded to SamiV, we had a brief interview on Skype and now I am here as Community/Social Media Manager for Sociable Soccer. It’s a great opportunity for me to work close with a development team and also to work with Jon who has been such an awesome inspiration in the games industry. Sensible Soccer was one of the first football games I ever played and that was back in 92/93, before that I had only played Nintendo’s World Championship Soccer which was fun but didn’t come close to the realism I thought I had with Sensible Soccer. I really liked that the players had different attributes and real names, and the feeling when you picked up passing and shooting was also a genuine wow moment. That’s some of the info about me and my history. I’m looking forward to answer all of your questions, so fire away! There are a lot of people that want to play this game, that is for sure. Our goal is to make a game with focus on gameplay and online. On our way there we strive to incorporate more of the kind of art style that you’ve seen both in game and in the menus and fine tune them. Publishing details are not my cup of tea so I can’t answer that. I Just recently joined. Hi! My spanish is a bit rusty but the speed is about the same as the old games that Jon made. Career mode is something we are looking into, but not for this release. Thanks for your support José. Could a career mode be a kickstarter goal? ‘Finish’ the game and ask for another 20,000 at Kickstarter. As you’ve seen, there are a lot of people wanting to throw money at you but not enough to make the entire game. Also, I’m interested in how you are funded right now. Deal with a publisher? I can imagine you don’t want to give all details but after Kickstarter I was afraid for dependency on a third party which didn’t really work out for Sensi 98/ECE/06. Next PostNext The March video is here!